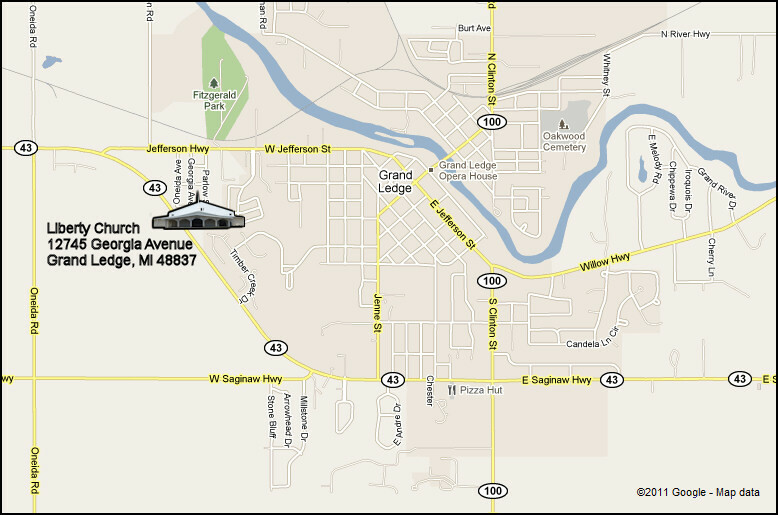 Our church is located at 12745 Georgia Avenue, off of West Jefferson Street in Grand Ledge, Michigan. We are the large white church building easily visible on Saginaw Highway (M-43), but you need to head west a little further and turn right on West Jefferson then turn right on Georgia Avenue to reach the church property from M-43. Click on the map to open it in Google Maps for further details or to get driving directions.